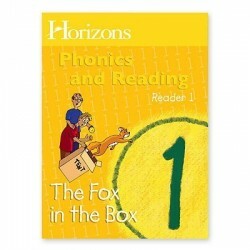 Guide your child to independent reading with the Horizons 1st Grade Phonics & Reading Student Reader 1: The Fox in the Box. Eighty captivating stories include The Fox in the Box, The Kitten Who Wouldn't Come Down, The Careless Boy, and more! Use as a companion resource to Horizons 1st Grade Phonics & Reading Student Book 1.